Today I watched the Oral Roberts memorial service live on TV. Rightly hailed as a central figure in Christianity in general and Pentecostalism in specific, Roberts’ legacy lives on through countless protégé’s, a major Christian university, and many, many other obvious contributions. However, I have not yet heard others comment on what I perceive to be a major component of his legacy: the broad acceptance of professional medical treatment by people who believe in divine healing. Like it or not, Pentecostalism (in general) has a history of rejecting medical treatment in favor of divine healing alone. In fact, some of the pre-Pentecostals influencers such as John Alexander Dowie classified doctors in the same category as demons and devils! Many of Dowie’s followers would become early leaders in the modern Pentecostal movement and promote divine healing–such as John G. Lake, F. F. Bosworth, Eli Richey (and his son Raymond T. Richey) among others. Though I have not yet found it specifically stated in any Pentecostal denomination’s creed, there was a generally negative opinion of the medical profession in early Pentecostalism–from simple suspicion to blatant opposition. Many taught that pursuing medical treatment was a sinful act demonstrating a lack of faith! As recent as 1955, British Assemblies of God leader J. Nelson Parr’s anti-medicine teaching was published by GPH. His opinion was not unique; many Pentecostal leaders shared his view and taught it to those they influenced, making it a common (but not universal or codified) belief. 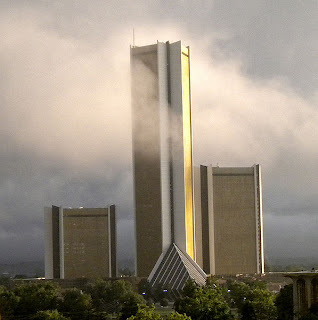 Enter Oral Roberts–arguably the icon of divine healing for the 20th century. Under his massive tent and through the media, countless people outside of traditional Pentecostalism were exposed to the supernatural healing ministry for the first time and all of Pentecostalism sat up to take notice. The name Oral Roberts is still synonymous with divine healing. In 1977, this spokesman for the supernatural announced his dream of building…a hospital! He further went on to explain that there was no conflict between medical treatment and the belief in (and practice of) divine healing! This sent murmurous ripples across the church world. However, this announcement did not reflect a personal change in Roberts’ doctrine; he had a rather developed doctrine of God’s sovereignty relating to divine healing from his early days of ministry. His logic was that not everyone receives divine healing, so therefore, the Pentecostal/Charismatic world should have their own world-class hospital. I’m sure you know the rest of the story; the City of Faith Medical Center only operated from 1981-1987 before financial problems forced its closure. End of story? Not in my opinion. Still today the Pentecostal/Charismatic world is indebted to Roberts for what the near-sighted perceive to be his greatest failure. This American icon of divine healing built a hospital and sidelined the common, long-standing anti-medicine teaching–hopefully once and for all. Today, only a few fringe sects of Pentecostalism teach against medical treatment. Though the three towers of the once-hospital (now an office complex) still cast a shadow over South Tulsa, they remind us today that Pentecostals are compassionate and humanitarian alongside our belief in supernatural healing. Thank you Oral Roberts; whether or not you realized it, your prophetic action of hospital building brought balance to an often narrow understanding–yet you still encouraged us to believe in God for our healing, demonstrating the reality of both through your own ministry. This entry was posted in Divine Healing, Pentecostal History, Spiritual Leadership. Bookmark the permalink.